Determining the cause and remedies of tree decline can be a very complex matter and even with thorough background information and a systematic approach, it is not always possible. Contact us to ask a professional about your tree care problems. Northland is home to some of the world’s most invasive plant pathogens. 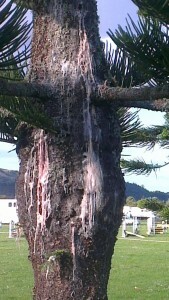 Possibly the most topical of which is Phytophthora taxon Agathis (PTA) attacking our Kauri trees. Symbiosis Tree Services operates in conjunction with some of New Zealand’s finest plant pathology labs to solve these puzzles quickly and inexpensively. Whatever the tree, whatever the ailment if you are concerned and require help contact us and we’ll send an experienced arborist to take a look. This is an inexpensive first step toward healthier, safer and more attractive trees. There are many considerations before installing such systems and sometimes it is more appropriate to remove the tree or offending limbs. However, cable bracing and propping of trees is widely used to extend the life of specimens burdened with codominant stems, split limbs or decayed unions, particularly in old trees of historic interest or high value in managed gardens. 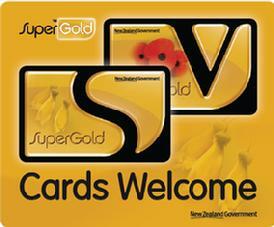 This may be worth considering if you live in Whangarei or in another of Northlands built up areas. Thousands of trees are struck by lightning every year. Usually these trees die in time as a result of injuries sustained to vascular tissue and or secondary stresses and pests. Accordingly it is not safe to have trees substantially larger than surrounding buildings to close to them without lightning protection. Symbiosis Tree Services has the knowledge and equipment to deal with all your spraying and fertilising needs in Whangarei and across greater Northland. We can supply and apply natural or synthetic solutions to all your tree problems whether they are driven by insect or fungi, disease or nutrient. Nutrition and fertilising is a balancing act. Too much or too little can have a negative impact as can your choice of fertiliser. We prefer organic products for many reasons, not least of which is the greatly enhanced biological activity and soil profile. There is much more to think about than nitrogen (N), phosphorus (P), potassium (K) on the side of the packet. Whether you are in Whangarei, Tutukaka or wider Northland Symbiosis Tree Services can offer the specialist advise you need to get these decisions right the first time.